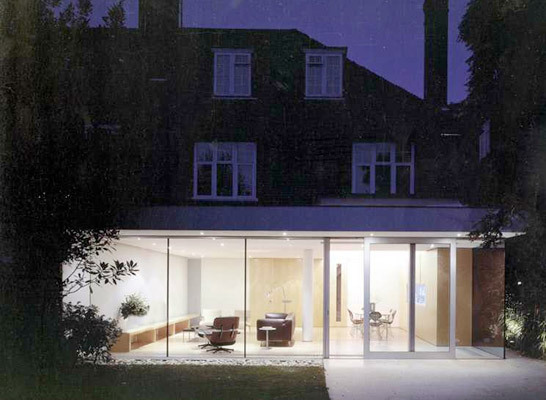 On a modest budget a ground floor extension to an Edwardian house provides a simple but dramatic reception room. 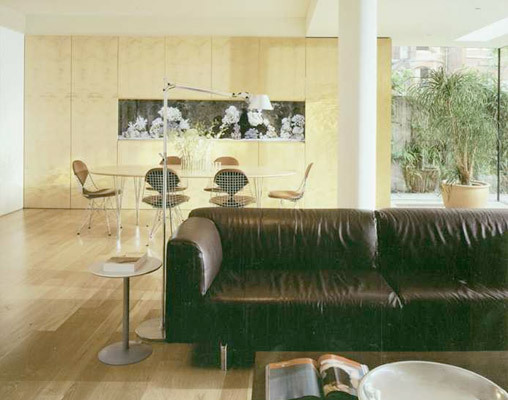 The entire rear wall of the house was demolished to provide a large flexible room that could contribute directly to the colourful life of the family. 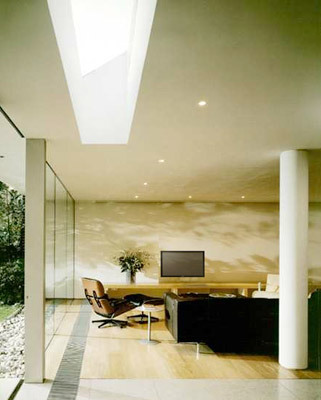 A glazed roof over the garden entrance has permitted deeper light penetration into the living space as well as providing secure provision for natural ventilation. 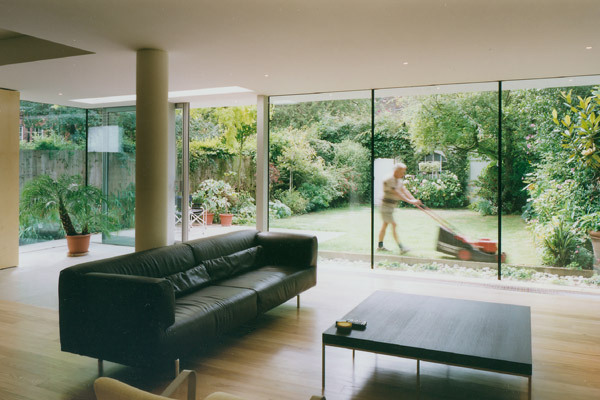 The structural solution to support to the house is provided by a single circular column. A bespoke maple panelled wall and fish tank provide a backdrop to the dining space whilst the entire garden becomes the main focal point in the room. 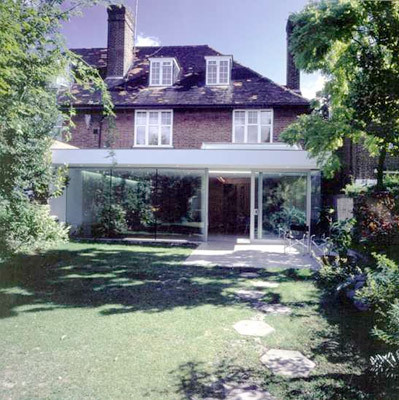 The project was carried within a conservation area under Permitted Development.